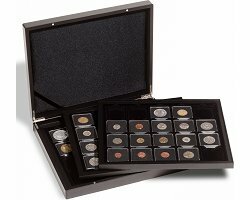 High-quality, black presentation case to house 60 QUADRUM coin capsules or coin holders. 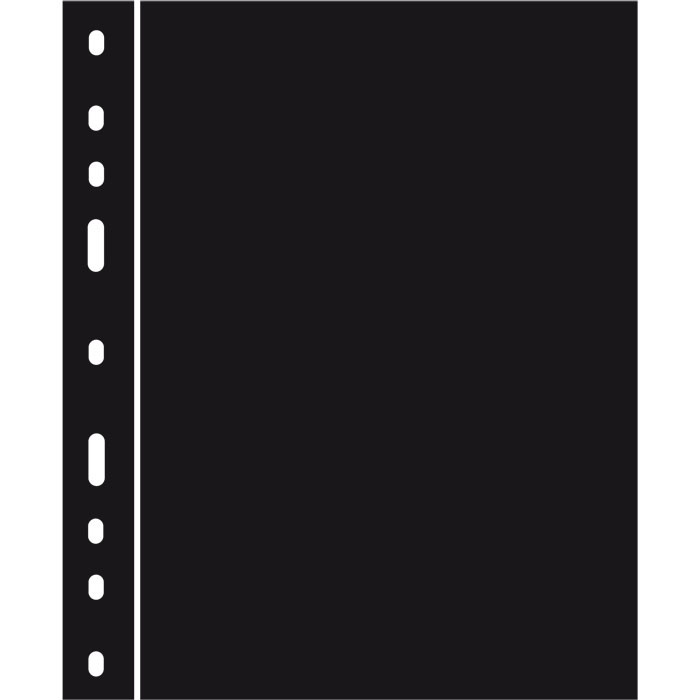 3 trays, each featuring a black velour-effect surface and 20 square ports (50 x 50 mm). Trays particularly sturdy thanks to a wooden frame. The lid cushion is covered in black satin, and the case features a secure and unobtrusive magnetic lock. Overall size: 330 x 270 x 55 mm.